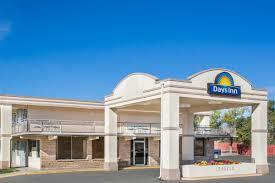 Rock Springs-Days Inn is great for all travelers visiting Rock Springs. Guests receive a warm welcome in the hotel. A number of shopping and recreation options are situated nearby. Guestrooms in this hotel offer a restful retreat all the rooms have soothing ambience and elegant furniture. The hotel rooms also have entertainment centers with cable TV and in-room movies. All the hotel rooms are non-smoking and feature private bathrooms, telephones, and work desks. Rock Springs-Days Inn offers guests free use of the parking spaces as well as the barbeque grills in the picnic areas. The hotel also features easy access to nearby recreation options such as water skiing, rafting, golfing, fishing, and boating.